In spite of how bizarre and rambling Clint Eastwood's performance was at the Republican National Convention, he really has established himself over the years as a fine filmmaker and iconic actor. 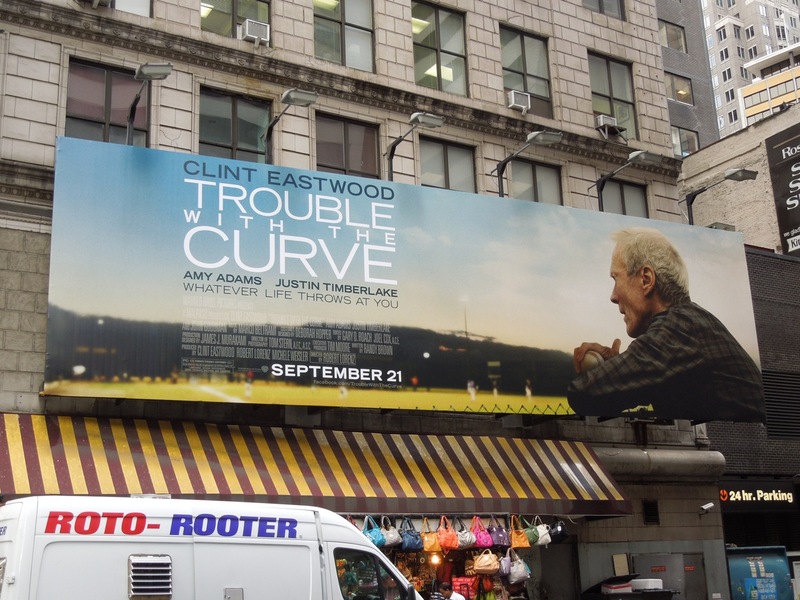 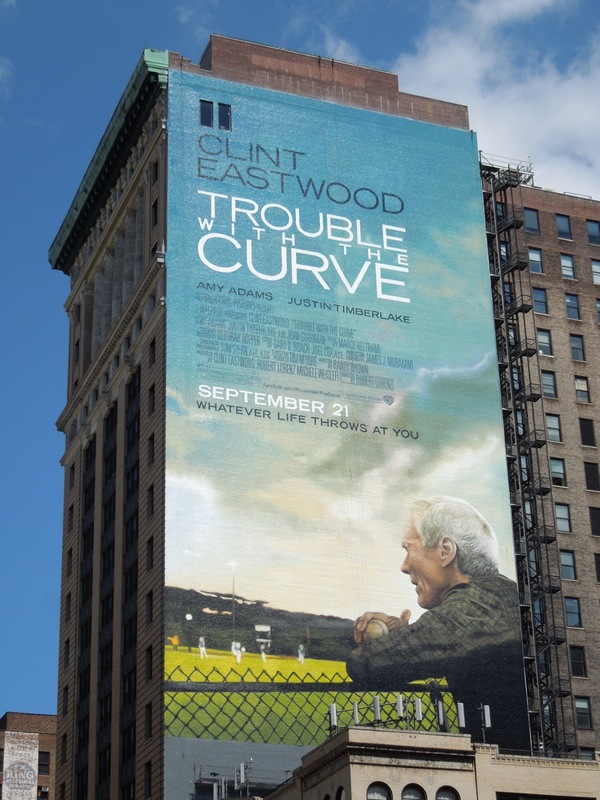 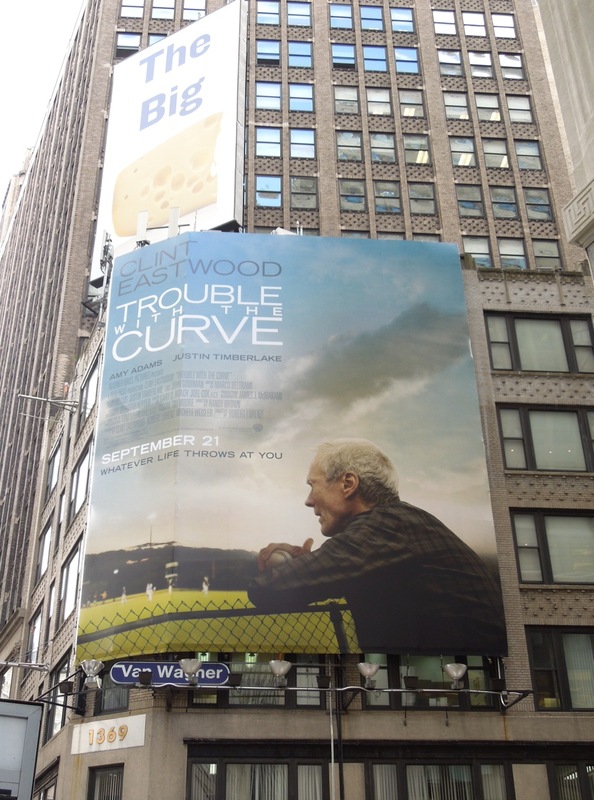 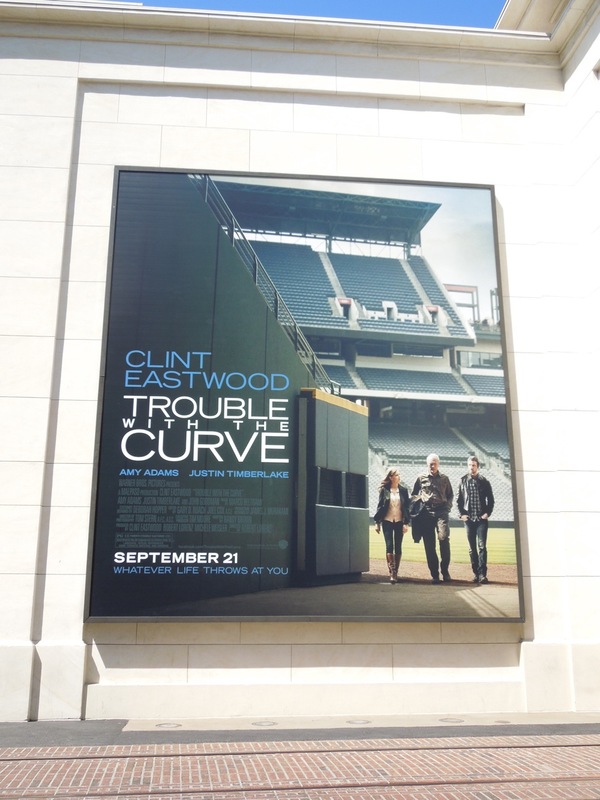 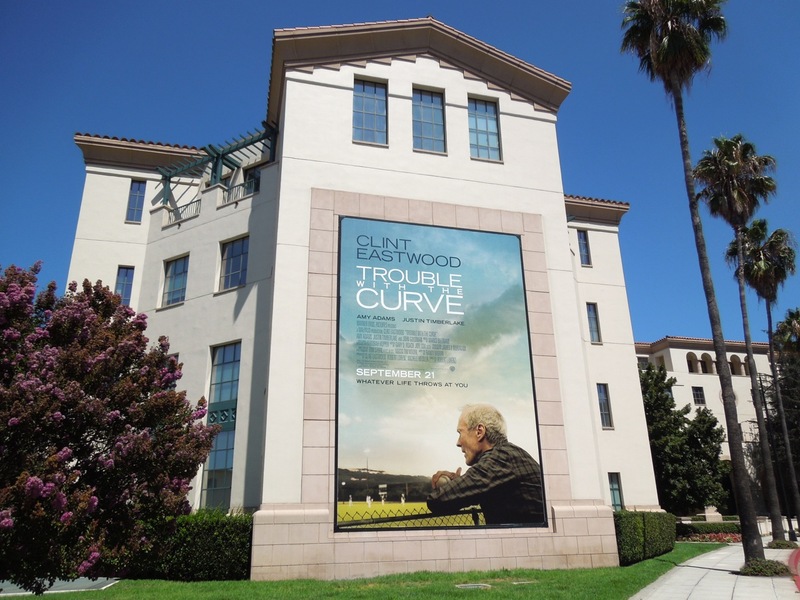 So regardless of his misguided political rants here are some fantastic billboards for his new baseball drama Trouble with the Curve from around New York City and Los Angeles (and not an empty chair in sight). 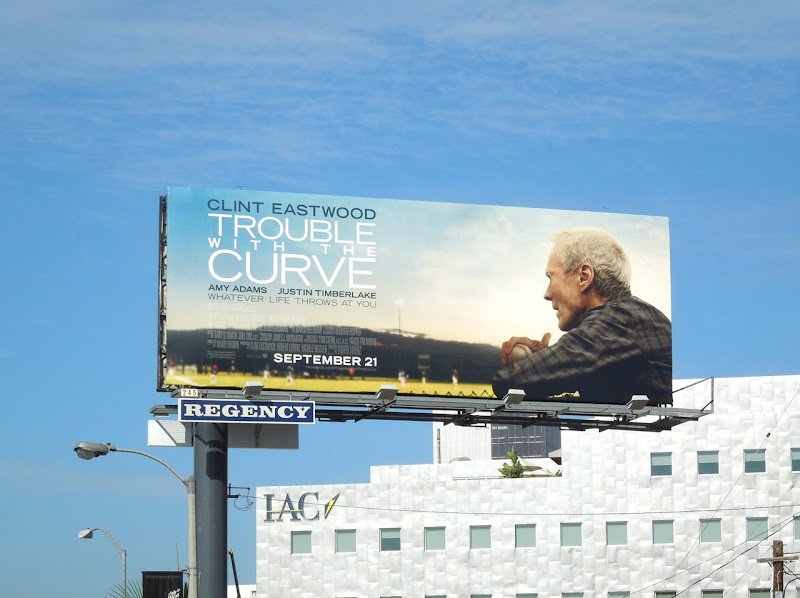 What first caught Daily Billboard's eye in these creatives were the beautiful colours in sky above Clint Eastwood and the actor's wistful pose, helping to evoke the feel of a thoughtful movie. 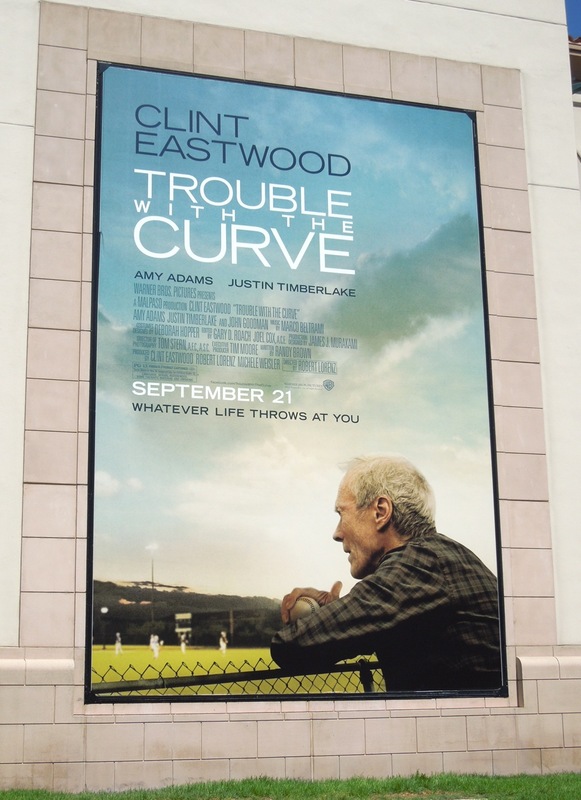 The story revolves around an ailing baseball scout taking his daughter (Amy Adams) along for one last recruiting tour, as Clint Eastwood tends to pick and choose the films he acts in carefully these days you can't help but wonder if this is his swan song performance. 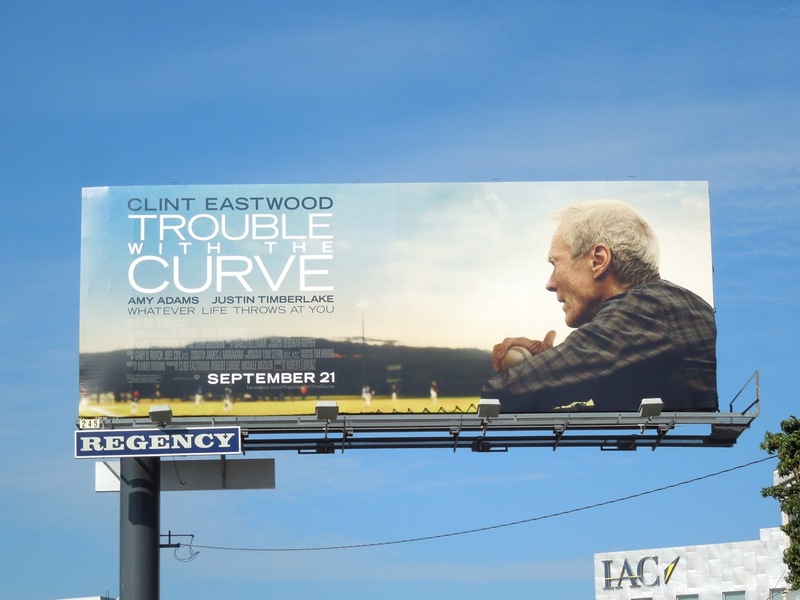 The L.A. billboards were snapped along Sunset Boulevard and at Warner Bros. Studios in Burbank on August 21 and 26 respectively, whilst the New York billboards were photographed around Manhattan's streets on August 28, 2012. 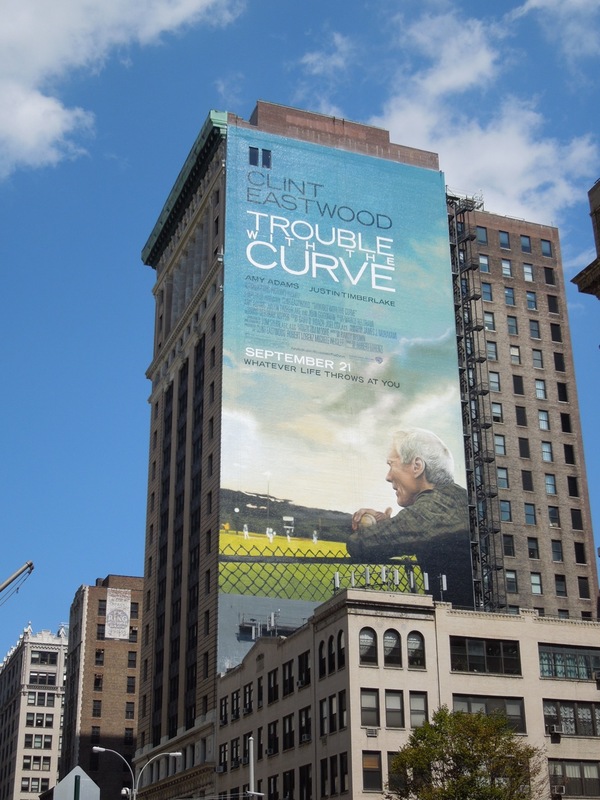 Meanwhile this spectacular giant-sized wall mural was spotted towering over Park Avenue at 23rd Street. 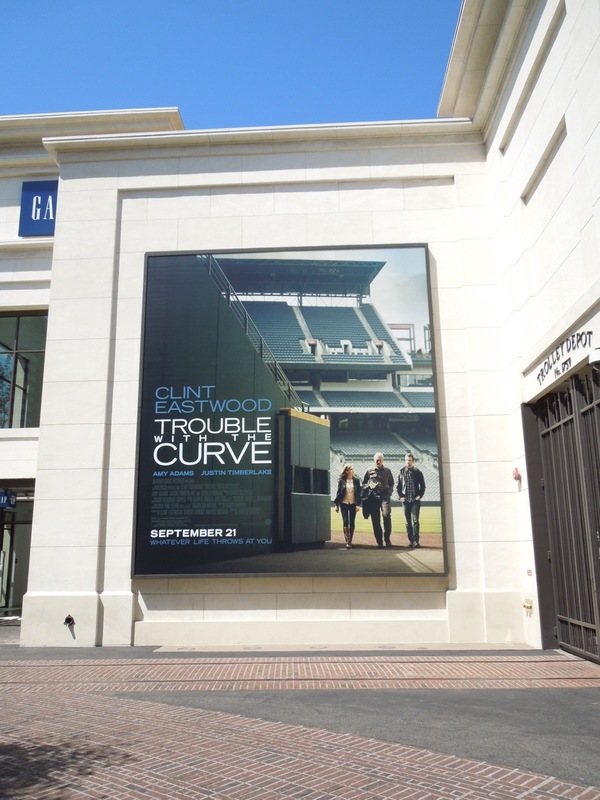 UPDATED: Here's a different creative for the sports movie, this time also featuring the film's other stars, Amy Adams and Justin Timberlake. 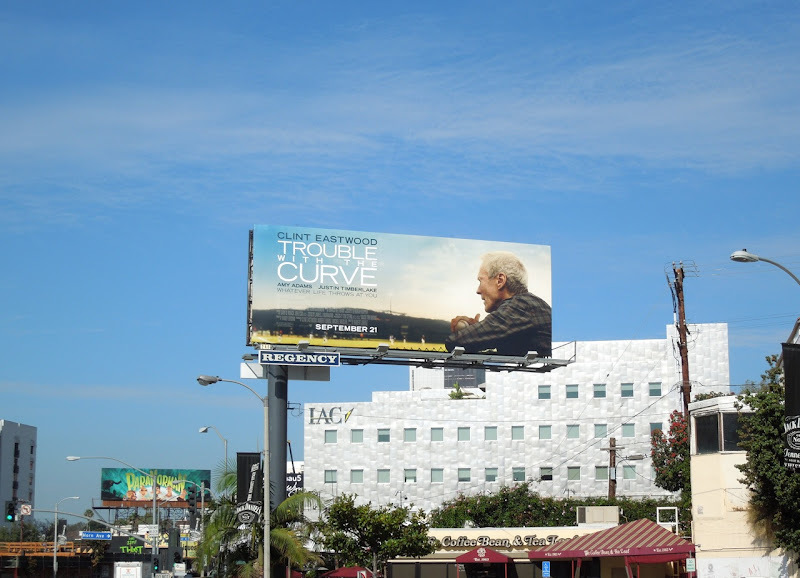 This billboard was spotted at The Grove shopping centre on September 9, 2012.